Thanks to a special structural system, Dream Finders Homes is building new homes in Central Texas that are as tough as they are beautiful—built to handle the full range of life at home from active children and multiple houseguests to gale force winds. 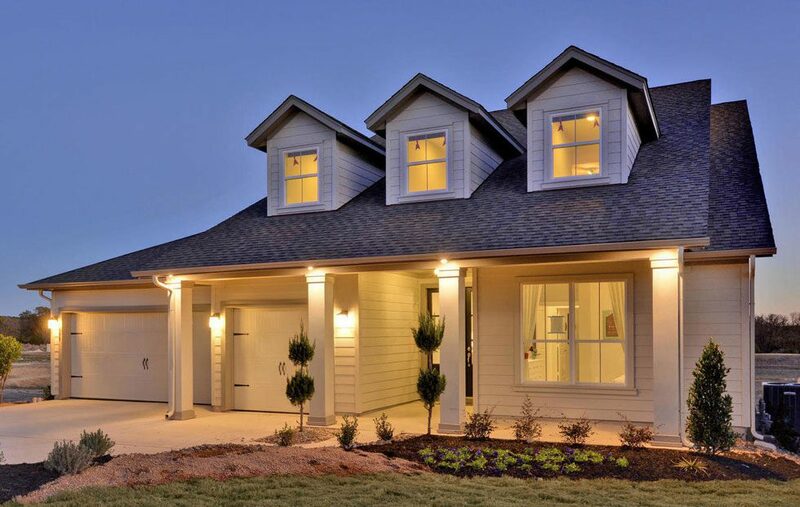 You’ll find in Orchard Ridge, a beautiful, new master-planned community in Liberty Hill, TX. Dream Finders Homes’ exterior sheathing system, the ZIP System®, provides superior structural durability and allows for a perfectly tight house, which improves both comfort and energy efficiency. Typically found only in the most high-end homes, the ZIP System® is backed by a 30-year warranty. Style is also an essential component for Dream Finders Homes, and at Orchard Ridge. Dream Finders provides a distinctive portfolio of 12 home designs ranging in size from approximately 1,700 to 3,300 square feet with the flexibility to personalize each home to your individual tastes. Popular options include bay windows, gourmet kitchens and extended lanais. Homes are one or two-story, have three-to-four bedrooms and two-to-four baths. Home prices range from the low $200,000s to the high $300,000s. Just northwest of Austin, Orchard Ridge is nestled in a burgeoning area between Liberty Hill and Georgetown. Only minutes from urban excitement, this location boasts a community garden, nature trails, resort-style amenities and peaceful, oak-studded avenues, offering a welcome escape from the city’s hustle and bustle. Children attend acclaimed Leander ISD schools. Major thoroughfares to Austin are nearby, making it easy to commute for work or play. A private, national homebuilder, Dream Finders Homes is now selling new homes available on 50’ and 60’ wide home sites. Model homes are open daily and available for touring. To learn more about pricing and floor plans by Dream Finders Homes offered in Orchard Ridge, click here. Visit the Orchard Ridge homepage to view more information on the community and amenities.